What do you get when you combine two James Beard Foundation award-winning cookbook authors and celebrity chefs, signature bites from Orlando’s favorite foodie hot spots, wine pairings to suit every palate, a silent auction with fabulous prizes, and a lively discussion about Florida’s culinary bounty, all benefiting an impactful local charity? You get a MUST DO EVENT to add to your calendar! Reading Between The Wines. James Beard Foundation award-winning cookbook authors and celebrity chefs Art Smith and Norman Van Aken headlined the 10th annual “Reading between the Wines” Adult Literacy League of Central Florida fundraiser April 12, 2017 from 6-9 p.m. The event at Orlando Science Center is presented by Bank of America. Two of the country’s most renowned culinary artists and celebrity cookbook authors, Smith and Van Aken, will engage in a lively discussion moderated by local author Bob Morris. Their unique Florida culinary roots will provide interesting insight as they share their take on the state’s distinctive larder and harvests. If you have a burning question about Florida’s bounty, these masters will answer it. At the conclusion, they will each sign cookbooks. If you know me, you know I’m a cookbook collector, and I intend to add a few tomes to my library! Norman Van Aken is “the founding father of New World Cuisine,” a celebration of Latin, Caribbean, Asian, African and American flavors. He also is known internationally for introducing the concept of “fusion” to the culinary world. He is on the James Beard list of “Who’s Who in American Food and Beverage,” and his Orlando restaurant “NORMAN’S” was nominated as a finalist for the James Beard Foundation’s “Best Restaurant in America.” He was even named a James Beard Foundation semi-finalist for “Best Chef in America.” Van Aken has published five cookbooks and one memoir: Feast of Sunlight 1988, The Exotic Fruit Book 1995, Norman’s New World Cuisine 1997, New World Kitchen 2003 and My Key West Kitchen 2012 (with Justin Van Aken), No Experience Necessary, The Culinary Odyssey of Chef Norman Van Aken, 2013 and My Florida Kitchen (with Janet Van Aken) 2016. He is the Chef-Owner of “NORMAN’S at the Ritz-Carlton, Grande Lakes, Orlando.” His new venture is a Cooking School, “In the Kitchen with Norman Van Aken,” in partnership with Candace Walsh, being built on Biscayne in Miami. 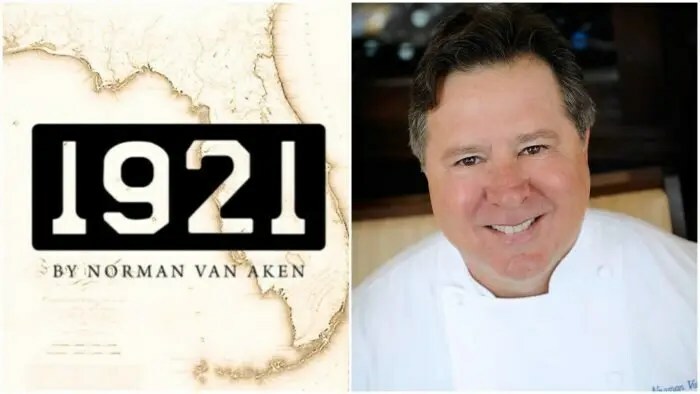 1921 by Norman Van Aken is located in Mount Dora, Fla.
Art Smith has received the culinary profession’s highest awards and has cooked for some of the world’s most famous celebrities. In 1997, Smith became the personal, day-to-day chef to Oprah Winfrey, a position he kept for 10 years. Now, he coordinates and cooks for events all around the world. Smith was honored by Chicago magazine as a Chicagoan of the Year in 2007 and is a two-time James Beard Foundation award winner. In 2008 Chef Art Smith received an Honorary MBA Degree, awarded by the Dedman School of Hospitality at Florida State University and was inducted into the Chicago Culinary Museum’s Hall of Fame in 2010. He has made numerous television appearances including on Iron Chef America, The Today Show, Good Morning America, Nightline, Fox News, Extra, Entertainment Tonight, BBQ Pitmasters, The Dr. Oz Show and The Oprah Winfrey Show. He is also the author of award-winning cookbooks: Back to the Table, Kitchen Life: Real Food for Real Families, Back to the Family, and Art Smith’s Healthy Comfort, which focuses on healthy cooking and healthy living. It’s not a foodie event on my “Must Do” List unless fantastic savory and sweet bites paired with wines are on the agenda. 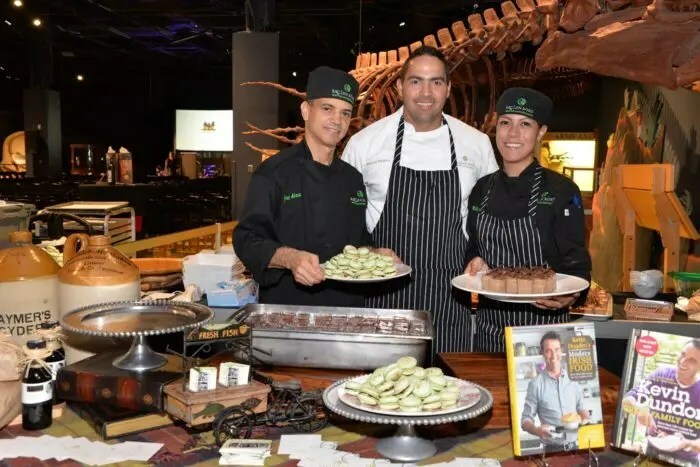 To that end, Reading Between The Wines guests will indulge in signature treats from Art Smith’s Homecomin’ Florida Kitchen at Disney Springs and 1921 by Norman Van Aken in Mount Dora. Both newly opened restaurants have made a big splash in Central Florida’s culinary scene this year and belong on your “Must Eat” List! Orlando favorites Swine & Sons, 4Rivers Smokehouse, The Coop, Raglan Road Irish Pub & Restaurant of Disney Springs, Carmel Café, Fiorenzo Italian Steakhouse at Hyatt Regency Orlando, The Palm and Olde Hearth Bread Co round out the featured noshes. Darden Restaurants and its suppliers and PRP Wine International will provide wine pairings. As the name implies – Wines are an important part of the evening. All event proceeds including sales of silent auction items, including everything from theme park tickets to resort spa and restaurant packages, will benefit the Adult Literacy League (ALL) programs and services designed to build a literate community. The Adult Literacy League (ALL) was created by a group of dedicated volunteers in 1968 and, since then, has helped thousands of adults 18 and older gain employment and economic self-sufficiency through one-on-one tutoring and classes in reading, writing, math, computer skills and other key studies. ALL provides one-to-one tutoring and classes to more than 1,000 adults on a weekly basis, plus books and learning materials to 600 preschoolers in low-income families each year. ALL’s Reading between the Wines event was designed to raise awareness, funds and friends so they can continue to change people’s lives through literacy. Go #MakeSomedayHappen at this Must Do Event in Orlando. * Photos provided by Adult Literacy League.